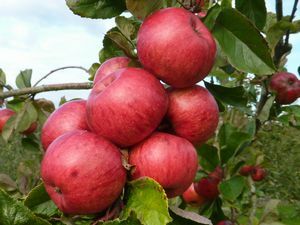 Browns - Apple Tree £12.75 - Cider Apples - Sharp and Bittersharp Apple Trees and Fruit Trees For Sale. Buy at competitive prices with wholesale discounts. 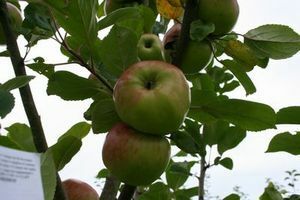 Brown’s is a first rate cider apple, dating back to South Devon around 1895. The excellent vintage quality of the sharp, clean and fresh tasting juice mean it has been planted extensively in orchards across the South West over the last few decades. It is a vigorous grower and can produce abundant crops, though Brown’s will nearly always become biennial. It carries very pretty bright red apples that start to fall in mid-October and should be pressed within 3 weeks.